This is the last of the “legs only” reconstructions. The heels and underfeet were so worn they were unsalvageable. I saved the legs and knit new feet. Who will notice? The feet are inside shoes/sneakers anyway. And the socks are, for all intents and purposes, new. My friend will be happy to get them back in her sock drawer. That leaves two pairs needing new heels – those are put aside for now. 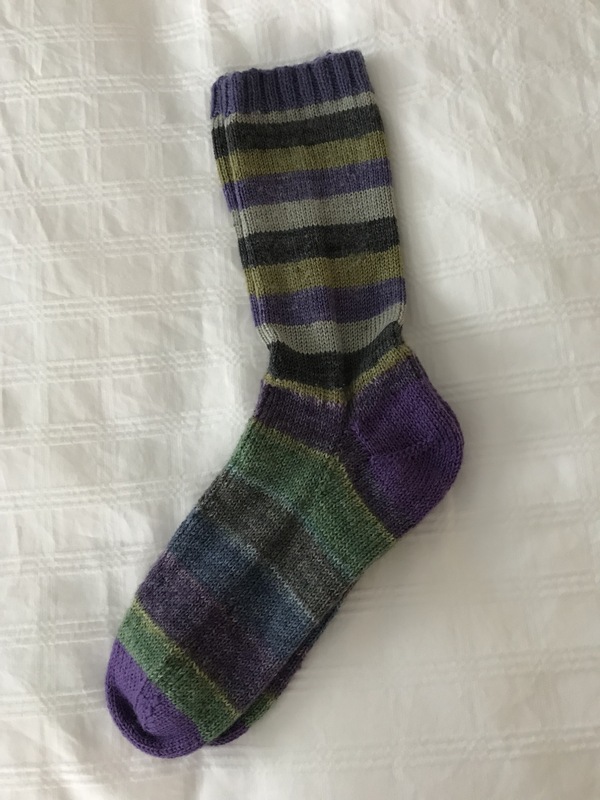 I’m knitting new socks with new yarn at the moment.